This prize, awarded by AITO, the Association Internationale pour les Technologies Objets, is considered the most prestigious in object-oriented computer science. Bjarne joined the Computing Science Research Center of AT&T Bell Laboratories in 1979. Strongly influenced by the object-oriented model of the SIMULA language (created by Dahl and Nygaard! ), he began work on developing class extensions to the C Language so that developers could write software using a far higher level of abstraction and sophistication while retaining the efficiency of C.
Bjarne said “My initial aim for C++ was a language where I could write programs that were as elegant as Simula programs, yet as efficient as C programs.” The first C++ language reference manual was published internally in 1984, and the C++ language was released commercially in 1985. C++ spread rapidly and became the dominant object-oriented programming language in the 1990s. The language remains one of the most widely used programming languages today. After AT&T split up in 1996 into AT&T and Lucent, Stroustrup stayed with AT&T and was a founding member of AT&T Labs, where he was the head of the Large-Scale Programming Research Department until 2002. He then moved to the computer science department of Texas A&M. He is currently also a Managing Director in the Technology Division of Morgan Stanley. 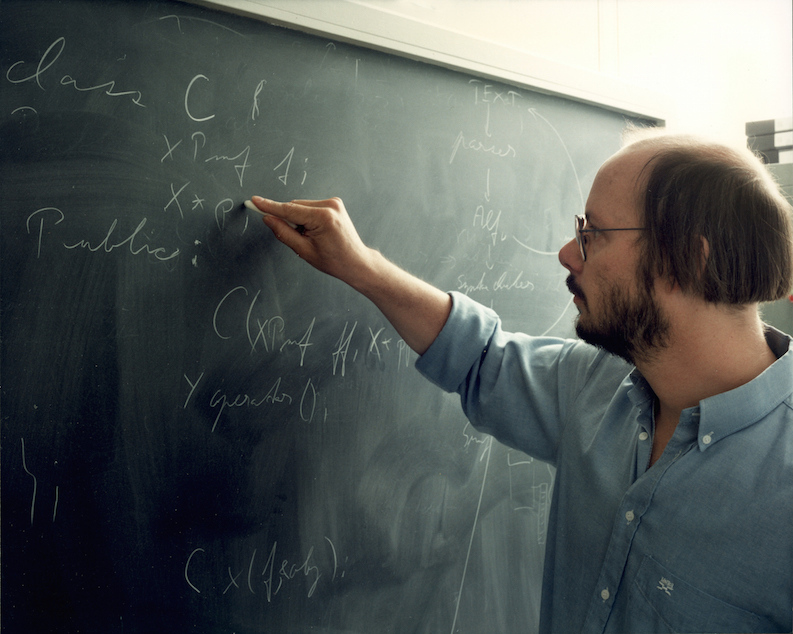 During the three decades since the release of C++, Stroustrup has published over 100 papers related to C++ and several books on C++ that have been translated into multiple languages. He has received numerous awards and honorary degrees, including the ACM’s Grace Hopper Award, election to the National Academy of Engineering, IEEE Fellow, Bell Labs Fellow, and AT&T Fellow. C and C++, remarkably, remain two of the most widely used programming languages today  and have influenced other languages, such as Java. Systems software, large-scale data processing systems, networking software and the like are programmed in C++; as an example, the well-known MapReduce library at Google was created with C++. At Bell Labs, C++ continues to be used in a number of projects ranging from networking research to formal verification. AITO is a non-profit association in Kaiserslautern, Germany, and promotes the advancement of research in object-oriented technology (primarily in Europe). “A History of C++: 1979−1991,” Bjarne Stroustrup. Proceedings ACM History of Programming Languages Conference (HOPL-2). ACM Sigplan Notices. Vol 28 No 3, pp. 271-298. March 1993. Also, History of Programming Languages (editors T.J. Begin and R.G. Gibson), Addison-Wesley, ISBN 1-201-89502-1. 1996.